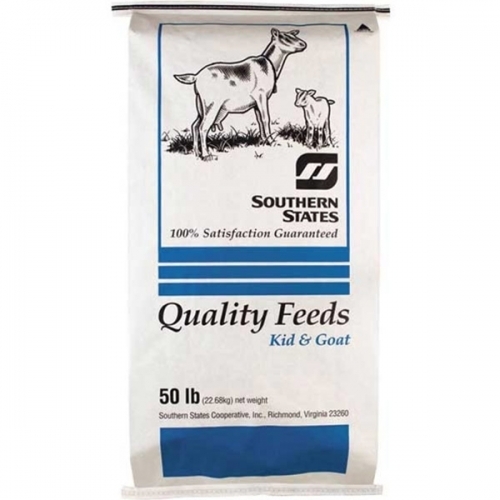 A textured complete feed for growing or mature goats, Southern States Sweet Goat Feed is formulated to be fed along with pasture. This "sweet" type textured feed is very palatable and well-liked by goats. Containing all-natural protein, Southern States Sweet Goat Feed promotes good milk production and efficient weight gain. 50 lbs.